Vienna, c. 1890. 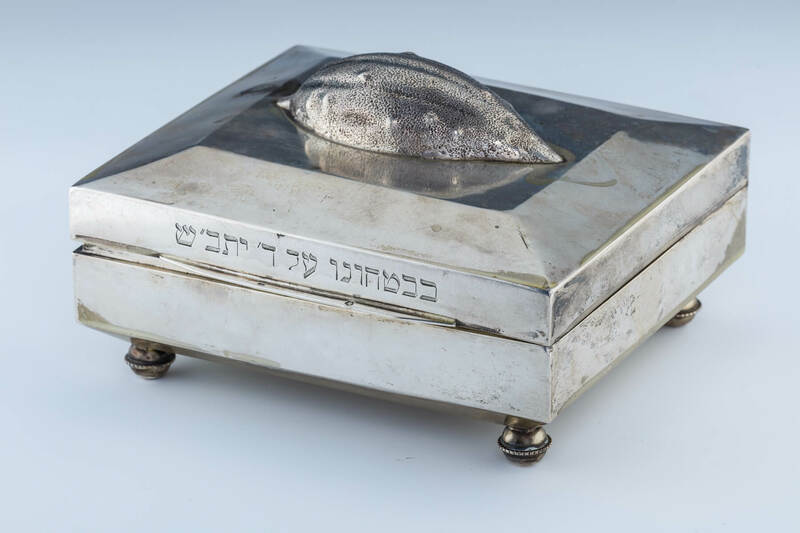 In square shape, with realistically chased etrog on upper portion and Hebrew inscription along rim. Marked. 6.8” wide.